The Office of Personnel Management recently released its Senior Executive Service Exit Survey Results, which prompted this headline in The Washington Post: “Uncle Sam Had Better Start Treating His Employees Right.” This month, of course, is when OPM encourages employees to respond to the annual Federal Employee Viewpoint Survey. These are different surveys with different target audiences, but both will undoubtedly reinforce the same message—agencies need to improve the work experience. The 2014 FEVS survey reinforced that message. The exit survey differs in a fundamental way. The respondents have already decided they’ve had enough and are leaving government. It’s natural therefore to focus on “what’s wrong with government” issues. It also differs on another key issue—the respondents are among the individuals who create and control the work experience of lower level employees. It’s natural to assume when a survey is conducted that the purpose is to understand problems and use the information to initiate corrective actions. Surveys are usually appreciated and have a positive impact. But when people take the time to respond, learn problems were identified, and then nothing happens, it should not be surprising when people feel disaffected. The “ugly” is best understood as a cost. Turnover has a cost. When an executive leaves, the estimated cost to replace that individual is 200 percent to 400 percent of his or her salary. That includes the direct costs of recruiting, selecting and supporting the replacement until he or she is fully productive as well as the indirect costs of lost productivity among those involved in the process. Losing executives also diminishes the productivity of lower level managers and employees until they develop effective working relationships with replacement leaders. It can take a year or more to return to past performance levels. The “ugly" is also felt in employee engagement, and that hampers performance. When acknowledged problems are allowed to continue—or worse, continue to deteriorate—it exacerbates the situation and increases disaffection. Employees want to know their organization is well-managed and that senior leaders respect workers and are working to maintain a positive work environment. Positive responses in the Federal Employee Viewpoint Survey have deteriorated steadily year after year. A comparison of 2014 survey results with data from 2011 shows not a single question netted a higher percentage of positive responses. In fact, the rate of positive responses was lower on 64 questions. 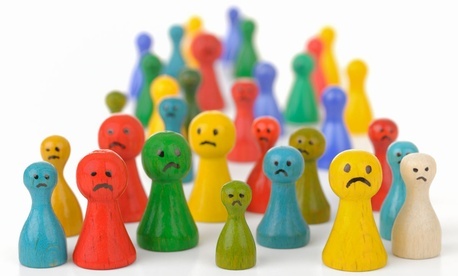 The survey indicates employees are increasingly dissatisfied with senior leaders. Positive responses on three questions are among those that have declined steadily. Morale problems at the SES level must be adversely affecting their effectiveness as leaders. Unfortunately the questions are vague, so it’s not possible to use the response data to reverse the trend. In my organization, senior leaders generate high levels of motivation and commitment in the workforce. How satisfied are you with the policies and practices of your senior leaders? Surveys are generally the first step in identifying and tackling problems. Here the survey data show there has been no progress; the problems have been prominent in the surveys for years. The most serious problems (getting the lowest percentage of positive responses) always seem to be the way performance is recognized and rewarded. Creativity and innovation are rewarded. In my work unit, differences in performance are recognized in a meaningful way. Research shows these practices are central to employee engagement. In combination they would contribute to a performance culture. As it is, extrapolating the percentages to the full workforce tells us well over a million employees believe good performance is not valued. This is a management concern; HR is on the sidelines. The conundrum for government is that the SES Exit Survey suggests similar problems exist at all levels. The solution has to start with the highest levels, confirming a commitment to change. The summary data should be interpreted as averages. Across an agency, there will be pockets of effective management along with units where employees are highly dissatisfied. The new survey should help to identify those where corrective action is needed. Employees always know where serious problems exist. It’s not too early to develop a plan to address the problems. Uncle Sam needs to start now. And employees should expect the promises of the new survey to be kept. Howard Risher managed compensation consulting practices for two national firms and has written four books, including Aligning Pay and Results. He has an MBA and Ph.D. from the Wharton School.